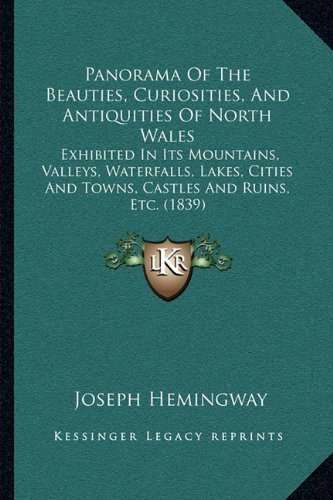 Excerpt from the Book “Panorama Of The Beauties, Curiosities and Antiquities of North Wales”, by J. Hemingway. Published in 1839. “In the park, there is a venerable oak, in its last stage of decay, and pierced by age into the form of a Gothic arch; yet its present girth is twenty-seven feet and a half: its name is very classical, Derwen Ceubren yr Ellyll, “The hollow oak, the haunt of demons..” With so appalling a name, this ancient monarch of the forest was held in great dread by the timid passenger; and the peasant as he passed in the gloom of the evening, would quicken his pace, and perhaps murmur a prayer for the preservation of his person from the crafts and assaults of the evil one. 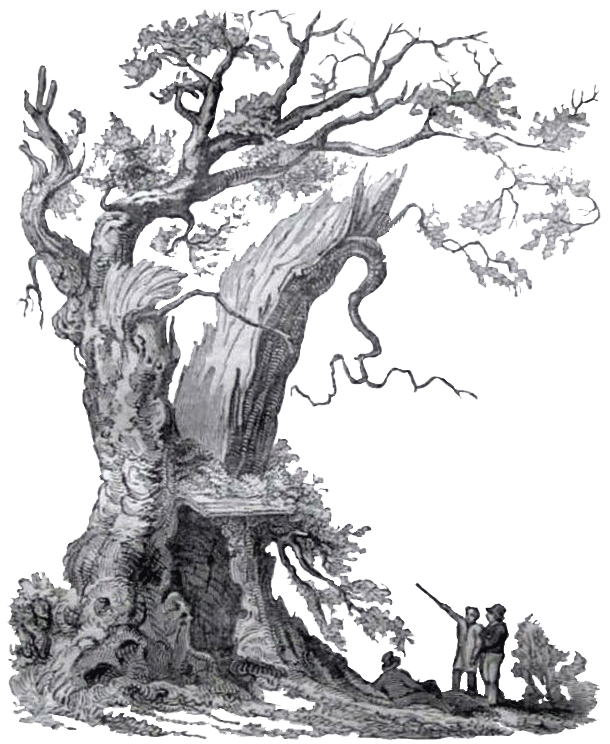 The legend of the oak, above alluded to, is related as follows: Howel Sele, the possessor of this house, and first cousin to Owen Glyndwr, refusing to espouse his kinsman’s and his country’s cause, incurred the indignation of the warrior; and while hunting together one day, Owen observed a doe feeding, and told Howe], who was reckoned one of the best archers of his day, that there was a fine mark for him. Howell bent his bow, and pretending to aim at the doe, suddenly turned and discharged the arrow full at the breast of Glyndwr, who fortunately had armour beneath his clothes, so received no hurt. But enraged at his treachery, be seized on Sele, burnt his house, and hurried away from the place; nor could any one ever learn how Howel’s body was disposed of, til forty years after, when the skeleton of a man was discovered in the hollow of the said oak, where Owen was supposed to have immured him. In Sir Walter Scott’s notes to Marmion, (No.5, Canto 6) may be seen an interesting poem, by Worthington, on this subject, which is historical, or rather traditional, (for no authentic records remain to conﬁrm either) that differs materially from the above. * Nannau garden is about 7 acres in extent, and will amply repay a visit. On the spot where the old Derwen stood, there is now a dial post. In front of the mansion of Nannau, is a lofty rock. called Moel Offrwm, “the Hill of sacrifice,” the summit of which is 1200 feet above the level of the sea.